LONDON -- UK new-car registrations fell 11 percent last month as weaker consumer confidence and uncertainty over the future of diesel put the market on course for its first annual fall since 2011. 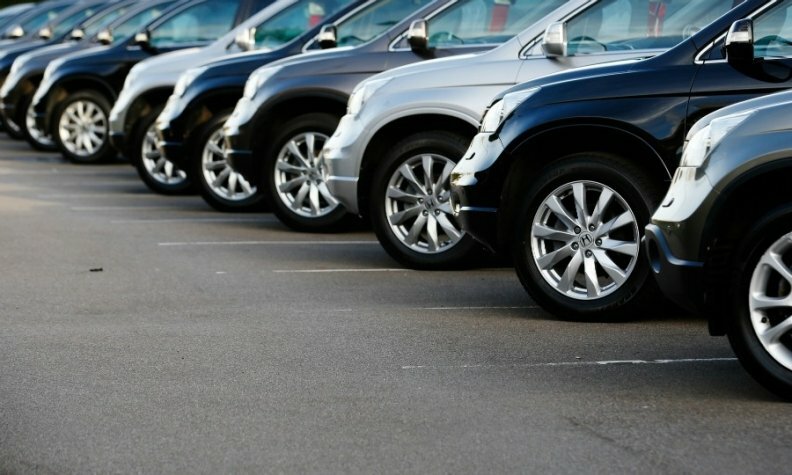 Sales fell to 163,541 in November, the eight month of consecutive declines, with demand falling among business, fleet and individual buyers, according to a statement from the Society of Motor Manufacturers and Traders (SMMT) on Tuesday. Through November, sales fell 5 percent to 2.38 million. Diesel has been particularly hit this year, with registrations declining 16 percent between January and November, while gasoline sales rose 3.1 percent in the same period. "An eighth month of decline in the new-car market is a major concern, with falling business and consumer confidence exacerbated by ongoing anti-diesel messages from government," Mike Hawes, SMMT CEO, said in the statement. The UK will increase the tax paid by those driving new diesel cars that do not meet the latest emissions standards from next year, finance minister Philip Hammond said last month, in the latest blow to the segment. Since the 2015 Volkswagen emissions-cheating scandal, a number of major cities including Madrid, Paris and Athens have announced plans particularly focused on cutting diesel emissions, including bans, fines and restrictions. Fiat sales fell 43 percent last month, making it the biggest loser among major mass-market brands. Renault volume fell 38 percent, while sales at PSA Group's newly acquired Vauxhall brand fell 35 percent. Other big losers included Nissan, whose registrations fell 24 percent and Ford, whose sales slipped 17 percent. Peugeot sales declined by 14 percent and Citroen's volume was down 6 percent. VW brand sales dropped 2.5 percent. Among premium brands, BMW's sales decreased by 17 percent and Audi's registrations fell 6.4 percent. Mercedes-Benz increased sales by 6 percent. Other gainers included Mini, whose registrations rose 20 percent, Land Rover, whose volume grew by 18 percent and Toyota, where sales were up 1.6 percent. The UK's decline contrasted with sales rises in other big European markets. Sales in France rose 10 percent, while in Spain they were up 12 percent. Germany's market was up 9.4 percent and sales in Italy gained 6.8 percent.